On Dec. 31, 2008, four bright planets were visible after sunset: Mercury, Venus, Jupiter, and of course Earth in the foreground. 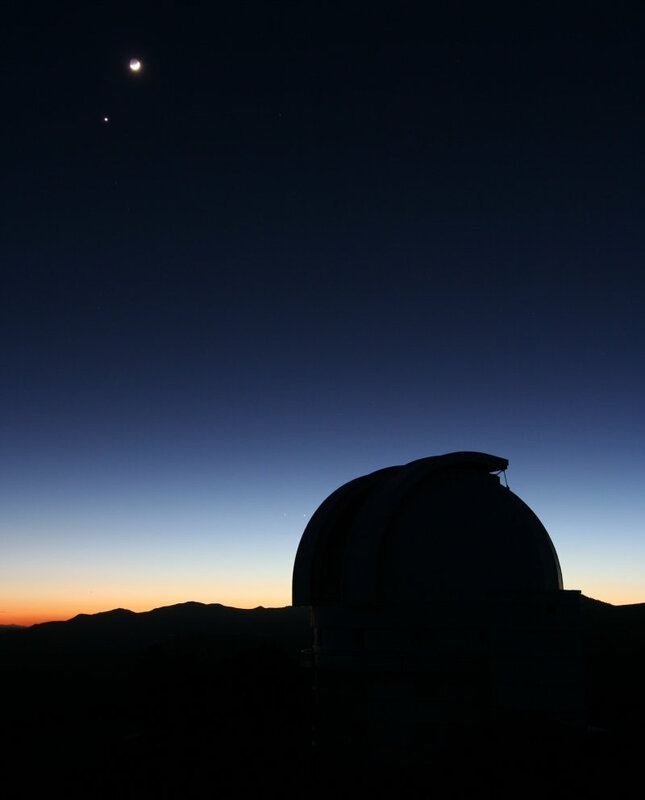 The photo was taken from the catwalk of the 2.7-meter Harlan J. Smith telescope at McDonald Observatory in the Davis Mountains of West Texas and shows the dome of the 2.1-meter Otto Struve telescope. Special thanks to Bill Wren for arranging this visit.